I CONTAINER CUSTOMERS: We can send you an order form that computes container volume. Mail us your order with your preferred delivery time. We can offer the products FOB Mexico, but we can also quote transport to your port of preference or to your door. II PALLET CUSTOMERS (only for EU). Order small quantities of mixed items (pallet shipment) from our Netherlands warehouse. Ask for our Ex-Netherlands price list. Private labeling packaging is offered large order quantities. Private labeling is available with a minimum quantity requirement. Please mail your order to info@mexicotrade.nl or fax to +31 87 78 42 390. Include quantity, article number and color code. Also include your invoice and delivery address and tax ID. We will return a confirmation with a volume assessment. Your order becomes official when you have signed and returned the order confirmation and made a deposit. Let us know if you need help to combine a container. Or ask us to prepare a best-selling assortment offer. For multiple retailers we can provide a pallets-per-store offer of combined products in assorted colors for easy distribution. - 50% deposit and the balance against documents. - Irrevocable LC or TT against documents for approved clients. 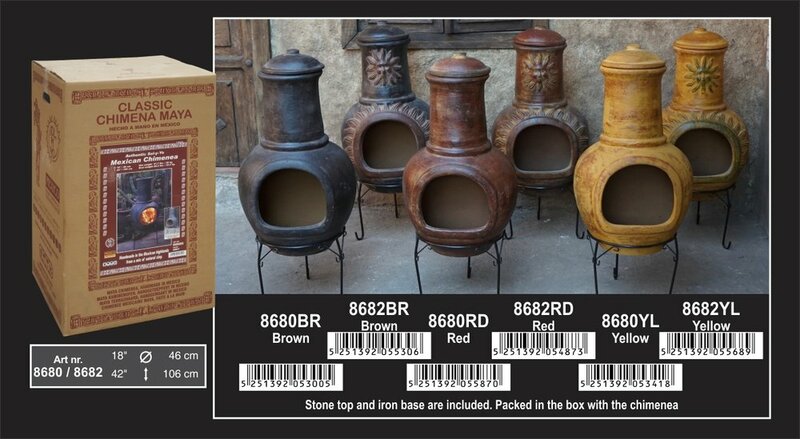 Pricing and terms: FOB Altamira Mexico or Manzanilo Mexico in a full 40”HC container. Our FOB prices are for a full 40”HC container loads. For a 20ft containerload, we use terms Ex-Factory. The average FOB delivery time is 4 to 8 weeks. Pallet deliveries from Holland take 1 week. Large multiple container orders are between 1 and 3 months, depending on the size of the order and our available stock. The Months of December-March are our busiest, so please place you order in time to get your required delivery time confirmed. Sometimes, stocked items can be delivered FOB in a few weeks. Because of the well-made carton boxes,we guarantee you less than 1% breakage in the container. Enjoy the advantages of European design & management at Mexican prices.